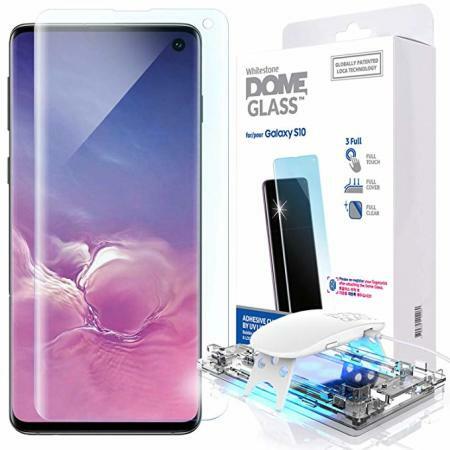 The Whitestone Dome Glass screen protector for Galaxy S10 uses a proprietary UV adhesive installation to ensure a total and perfect fit for your device. Also featuring 9H hardness for absolute protection, as well as 100% touch sensitivity retention. Distinct advantages over its competitors this screen protector justify the higher price tag. 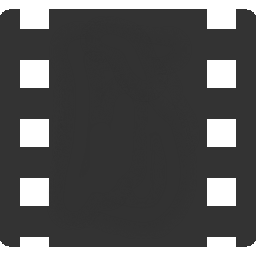 Easy to apply (following a video instruction) and very durable. I was skeptical at the beginning with the price of this screen protector, but it truly is an amazing product, you don'e even notice it on the screen. Customer service was amazing at exchanging my product when I ordered for the S10+ instead of the S10. After that, I found the instructional video on MobileFun's YouTube incredibly helpful in installing the screen protector - so much easier than I'd anticipated! I'm really pleased with the quality of the device too. The screen quality is truly unencumbered by the screen protector. I didn't even realise how poor the previous one was until I applied this one. I'm still having a little trouble with the fingerprint sensor but I currently don't believe that to be the fault of the screen protector. Otherwise, I'm completely sold and would recommend to all. Prompt delivery. I fortunately the first one broke quickly but it was replaced for free. All information is available on YouTube so no worries. Just as described and works a charm if you follow the instructions carefully. Looks great and works well with the fingerprint scanner. It took a few hours for fingerprints to scan easily, probably due to the adhesive having to settle. It's a very high quality. Please follow the instructions and watch the good company installation video. Take your time. It literally is the easiest screen protector I have ever used. Watch the video first. Then you're good to go. The installation isn't easy. During the installation you have to have absolutely clean space around you like in the surgical room. After the installation of the Dome glass the fingerprint sometime doesn't respond correctly. With YouTube being a big factor, I simply watched enough videos on reviews/installs before I made my purchase decision. I'm happy with the product and will purchase white stone dome products in the future. I would recommend this product to anyone that owns a smartphone. I got a replacement kit , due to the finger sensor not working with the first screen kit , and found online that alot of people found this a problem . Mobile fun added additional information in a updated installation video , which solved this problem. The instructions are good but watching the installation video a few times before and during installation is essential and makes for a easy and accurate installation. hi does this item stay on? i seen reviews people saying after couple weeks the screen protector starts peeling? is that true? i just want to get some reviews. Great product. Take your time installing. It's a very good screen protector You cannot Notice it on your screen.The the only minus is the Finger print scanner don't work every time Even after re registering my finger twice . Amazing screen protector just make sure its compatible with your case. This whitestone dome glass does exactly what it says! The instructions are easy to follow and it helps you put on the screen protector so easily. I would highly recommned this product for the s10 and s10plus. Specially with the new fingerpitrnt scanner, it works very well. Had to Google these before purchasing but all the reviews were good. Very fiddly to get fitted but worth it. Have noticed you need to re scan your finger prints after fitting. Do recomend this item though. Another perfect screen protector from Whitestone. Even the new ultra sonic fingerprint scanner is working fine. PS. : Watch the video few times before install and take your time. I have followed the installation video and tried attaching the screen protector twice now. Both times I have no bubbles initially then if I leave the phone for a few hours. I get almost spiderweb patterns forming underneath the screen protector. As I said I have followed the instructions exactly and keep having the same problem. A bit expensive i must say but compared with how much will cost to change the lcd i prefer this option ;-) Easy to install, perfect fit.